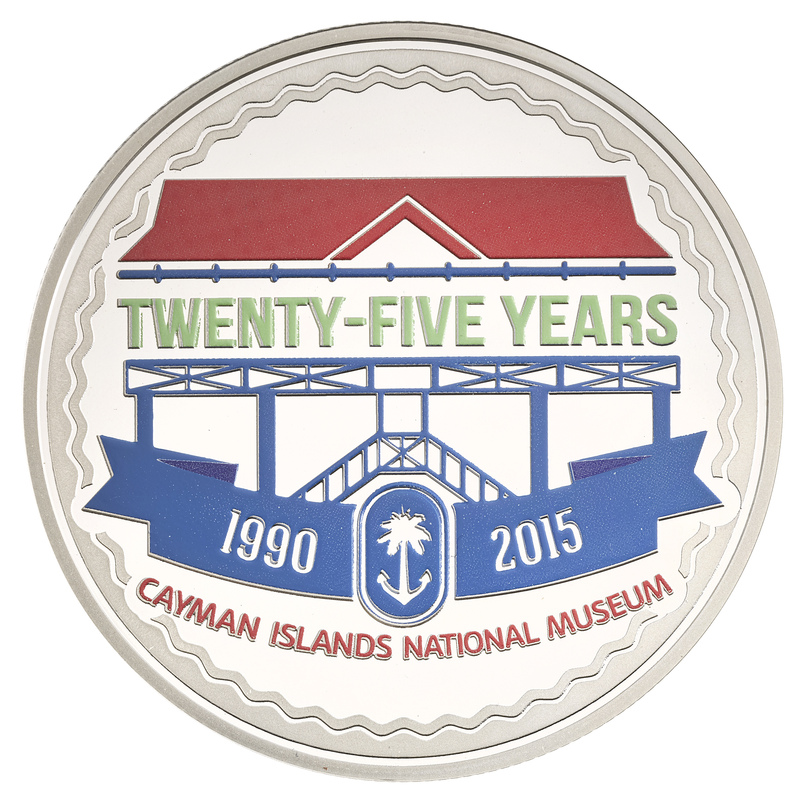 GRAND CAYMAN (Thursday, 19 November 2015) On Friday, 20 November, the Cayman Islands Monetary Authority (CIMA) will launch a commemorative coin to mark the 25th Anniversary of the Cayman Islands National Museum. The official launch will take place at the National Museum from 6:00-8:00 p.m., during a preview session for their anniversary exhibition. The commemorative coin has a face value of C.I. $5 and a fineness of .925 sterling silver. The mintage of this masterfully crafted coin has been limited to 250 coins and was minted by The Royal Mint in the United Kingdom. 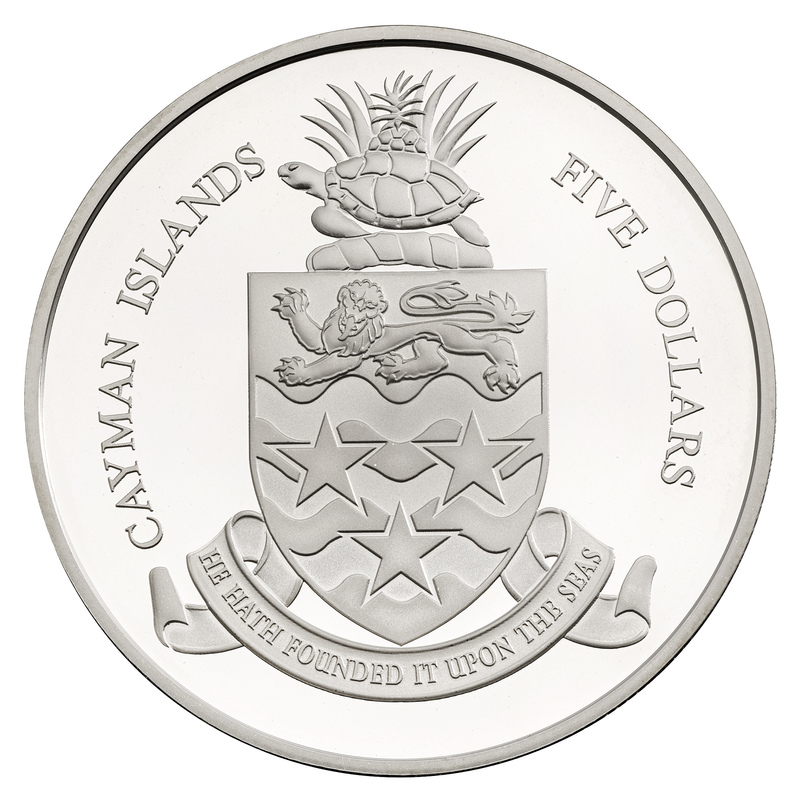 The coin features the Museum’s 25th Anniversary logo in full colour which depicts the Cayman Islands National Museum building on the reverse side and the Cayman Islands Coat of Arms and the words “Cayman Islands Five Dollars” on the obverse. The Cayman Islands National Museum building is about 180 years old, and is the oldest public building in the Cayman Islands. The building itself is historically significant, having previously served as the location for the courthouse and jailhouse, the first post office, the earliest Commissioner’s offices, the public library, a savings bank, a schoolroom, a church hall, a dancehall, and the Lands and Survey Department. These coins will go on sale on Monday, 23 November, and will be available at the CIMA Currency Division window, located on the first floor of the Cayman Islands Government Administration Building. The Museum will also be selling a limited number of the anniversary coins in their gift shop. The coins are priced at C.I. $73.34 or U.S. $90.00 per coin. The Cayman Islands Monetary Authority provides the public with beautiful collector coins through its creative numismatic programmes. The Authority offers these uncirculated proof coins designed to commemorate significant local and international events.